Okay, so if you don't keep up with award shows, there's a good chance you missed the awkward moment between Rami Malek and Nicole Kidman at the Golden Globes last week. 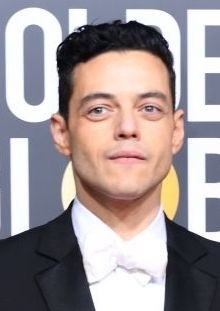 Bohemian Rhapsody won the Golden Globe for Best Motion Picture — Drama and the cast, including lead star Rami Malek, went up to accept. While on stage, he tried to greet Nicole Kidman, who was presenting, but she turned away, not seeing him. Rami even talked about the moment on Jimmy Kimmel Live and revealed that he's actually known Nicole for years, but admitted that the moment was super awkward. Cut to — this Sunday, aka the Critics' Choice Awards and..oh, what do we have here? It's Rami and Nicole! "Hahaha, wasn't that thing that happened at the Golden Globes so funny! I didn't even see you! Loved you on Jimmy Kimmel, btw," — Nicole, probably. No awkward moments here! Just two attractive award winners being best buds. Yes, second chances!